Deadline recently has reported, that The CW network has put in its own bid for a Nancy Drew live action adaptation of the famed children mystery novels by author Carolyn Keene. Newcomer actress Kennedy McMann (Gone and Law&Order: SVU) will play the the titular character, Nancy Drew herself. This will be McMann’s first starring role, after recently graduating from Carnegie Mellon last year. Fellow supporting cast mates will also include Leah Lewis (Charmed, The Good Doctor), who co-stars as George, the main suspect in the murder investigation. 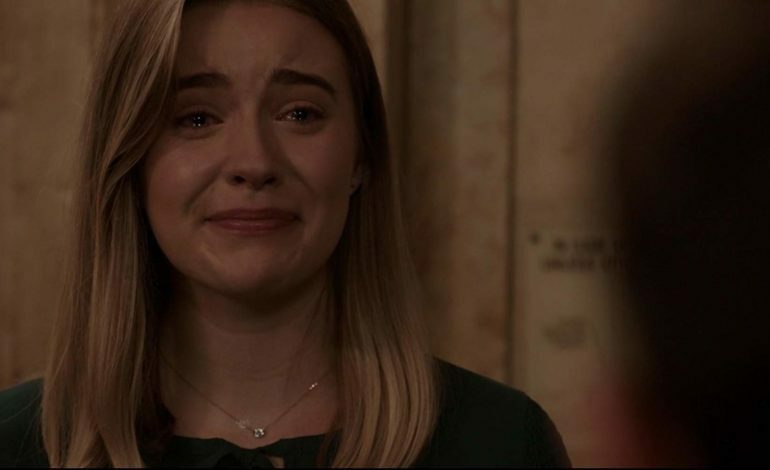 The series’ official log line, states the show will be set during the summer after Nancy Drew’s high school graduation, when the 18-year-old decides to move on from her hometown. But after experiencing a family tragedy, a year later she finds herself caught up in a ghostly murder investigation, where along the way she uncovers unexpected secrets. The Magicians writer Noga Landau will be writing the pilot script along with Gossip Girl and The O.C. veterans Josh Schwartz and Stephanie Savage. Who all interestingly enough, have decided to follow the amateur sleuth before her time solving mysteries with her usual gang that are present with her throughout most of the books (Bess Marvin, George Fayne, and The Hardy Boys). While A Very Good Production Inc.’s own adaptation of the book series, takes on a more kid friendly approach with a hint of supernatural elements and will include mostly the whole bunch. This March’s upcoming feature film will star Sophia Lillis as the spunkier version of Nancy, in Nancy Drew and the Hidden Staircase. Directed by actress Katt Shea, this adaptation will show Nancy being portrayed as more of an an outsider, who struggles to fit into her new surroundings, similar to the 2009 Emma Robert’s work. Eventually however, Nancy and co. set out to solve a mystery per usual, and make a few friends along the way, while finding their place in the unfamiliar community.